You may have thought that when you graduated high school, you were done with backpacks. Unfortunately, you are not. You don't want to go to college without a college backpack. This handy college supplies item will make college living easier. When you're walking all over a large campus with your notebook, tablet, and writing utensils, it can be easy to drop one or all of those things on your way to class. Plus, if it rains, you don't want to get those study accessories wet. Make carrying your study accessories across campus easier with our Chevron Black College Backpack. 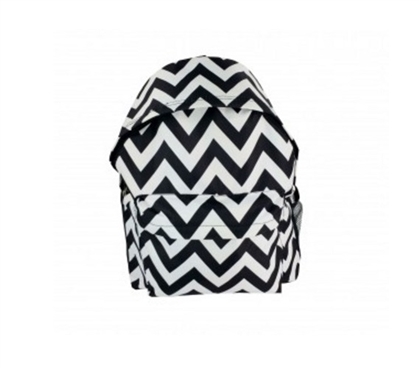 Our Chevron Black College Backpack has a trendy design of a black and white chevron color that will add extra trendy style to your outfit. 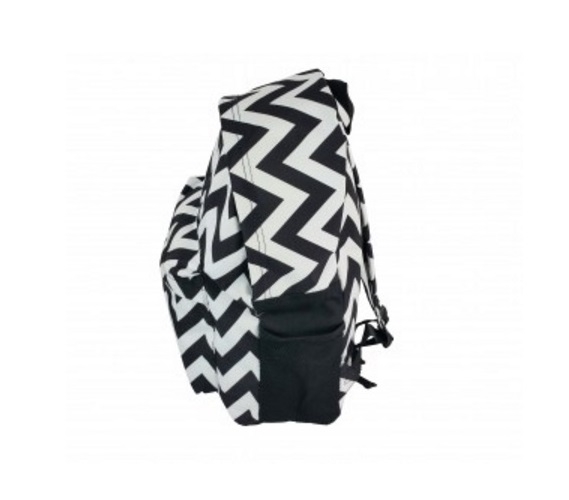 This must have dorm item has a large main compartment that will allow you to carry your notebook and tablet while the front pocket is perfect for your writing utensils and sticky notes. Visiting friends and family back home on the weekend? 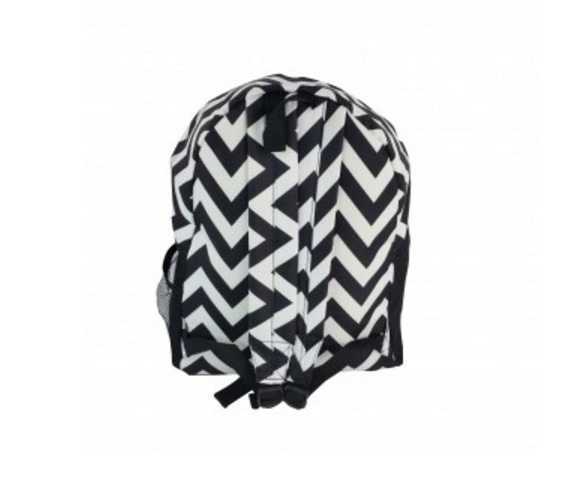 Pack up a change of clothes in our Chevron Black College Backpack. This dorm necessities item will make walking across campus with plenty of different writing utensils a lot easier, and you'll know that you're making it to class without any of those utensils missing on the ground somewhere outside of your dorm room.